We are happy to see a patient as soon as the referring dentist or parent has identified a problem. By the age of seven, most children have a mix of baby teeth and adult teeth, which makes it easier for an orthodontist to diagnose and correct tooth and jaw problems sooner and without surgery. We use scientifically accepted techniques developed during our many years of involvement with specialty orthodontics and education. Some of our techniques aim to improve the growth of the jaws, while others help guide the teeth into better position. NEED FOR FURTHER TREATMENT LATER? 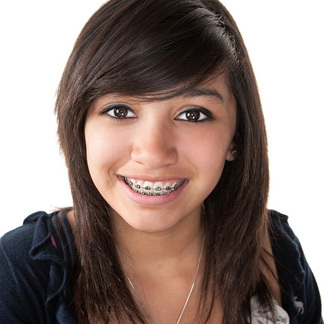 Phase I treatment does not always prevent the need for braces, retainers, or other orthodontic treatment in later years. It can, however, minimize the time required for the secondary phase of treatment and correct skeletal discrepancy early. The goal of Phase II treatment is to position all the permanent teeth to maximize their appearance and function. This is best accomplished with full braces or Invisalign®, and usually takes between 12 and 18 months. Due to the improvements made in Phase I treatment, Phase II treatment requires less patient participation (no headgear and fewer rubber bands), often avoids extraction of permanent teeth, and reduces the time spent in full braces. This is especially appreciated by patients as they enter their teenage years!